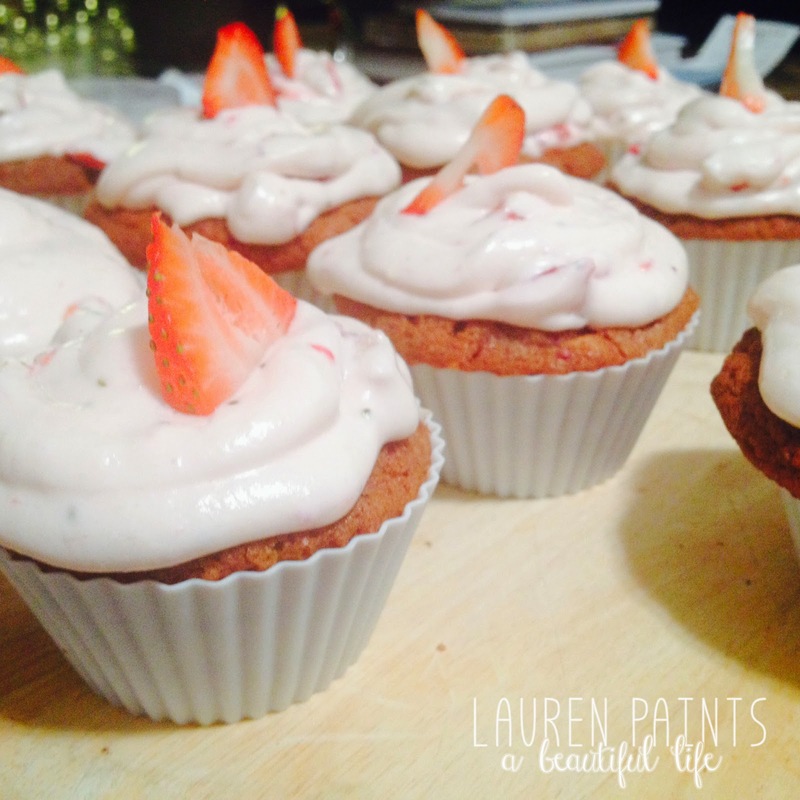 Strawberry Muffincakes with Strawberry Cream Icing Recipe - Gluten Free, Healthy, and Delicious! Baking is probably one of my most favorite things to do. I especially love coming up with "healthy" treats! I've been using paper cupcake liners for my pans over the past few years. My collection of mismatched, funky patterns started to make my eyes hurt when trying to photograph my recipes. 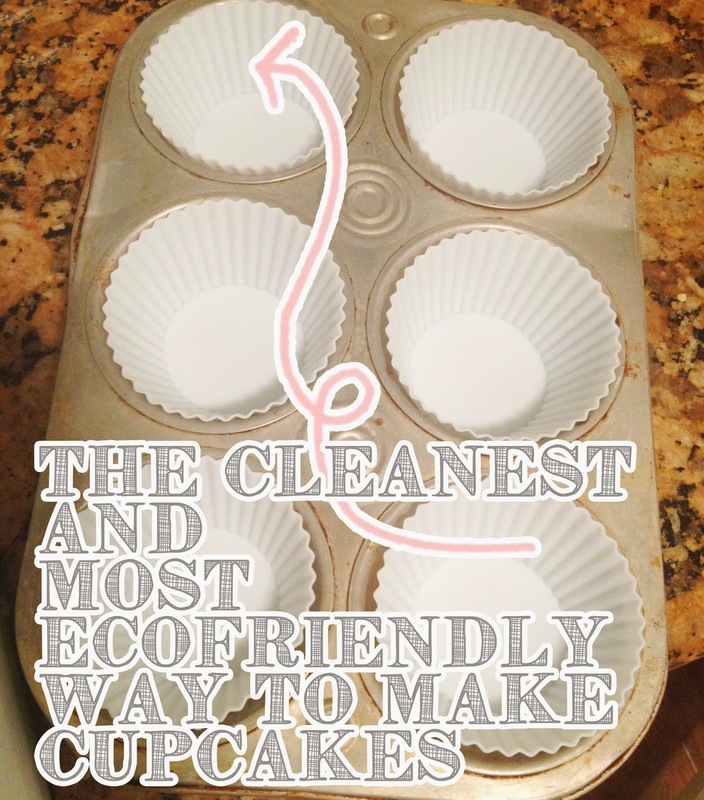 Not to mention, we were creating additional trash - which kind of made me feel guilty for baking. 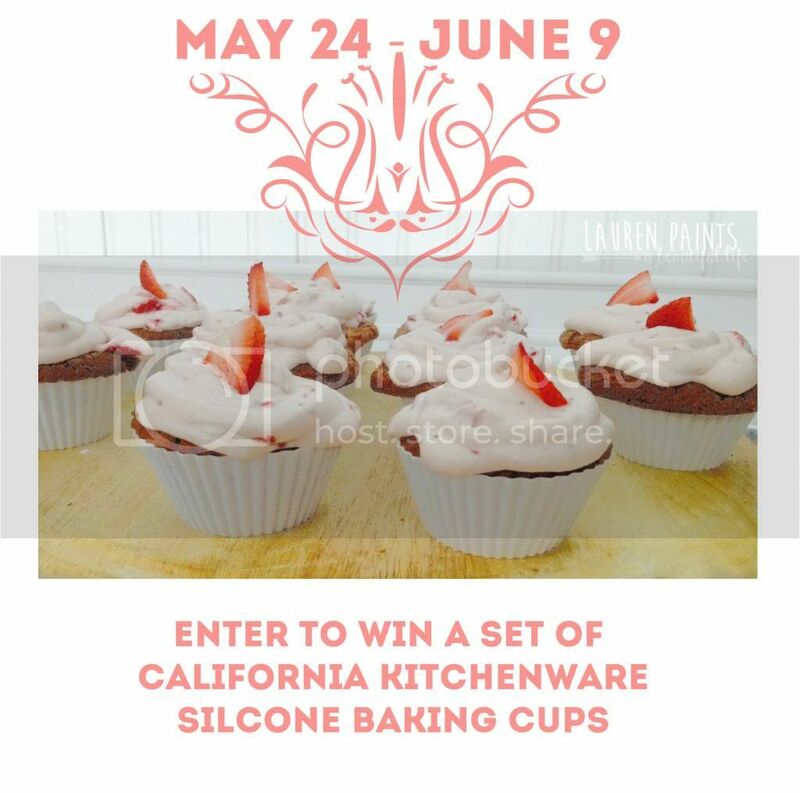 California Kitchenware's Silcone Baking Cups are a great solution to my liner ordeal. These beauties are packaged in a tube of 12. These baking cups are perfect for any event and make all of my recipes look more polished and professional. even fresh homemade ice cream! The silicone liners are sturdy and easy to clean, the perfect combination in my opinion! CKW is giving away one set of 12 liners. What will you bake with your liners first? 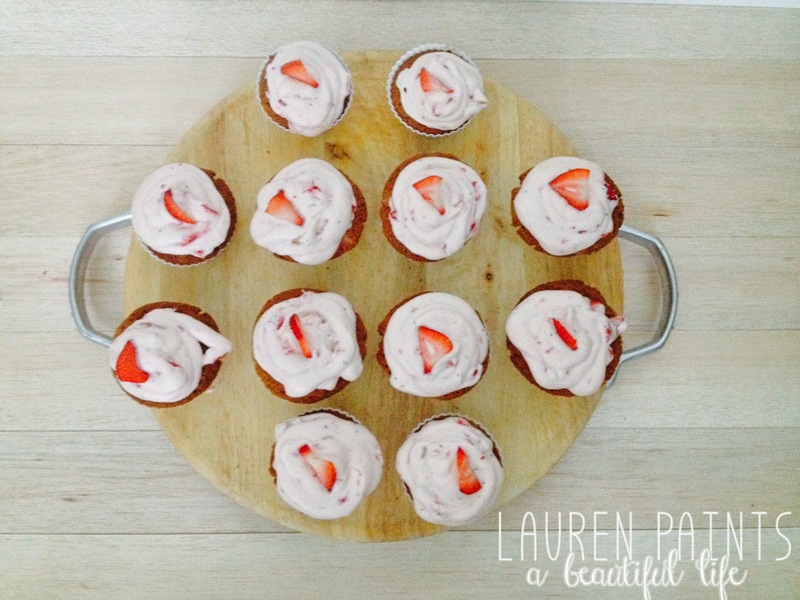 I suggest the Strawberry "Muffincake"
with Strawberry Cream Icing recipe you can find below! Preheat the oven to 350 degrees F. Place silicone liners in pans. With an electric mixer, beat the eggs, oil and sugar together until the mixture is thick and pale, which took me about 1 minute. Add the strawberries and beat at low speed about 30 seconds, just enough to break up the berries a bit. Slowly mix/sift the 2 cups of flour and the baking soda into the mixture. Beat until thoroughly mixed. Pour the batter into the prepared liners. 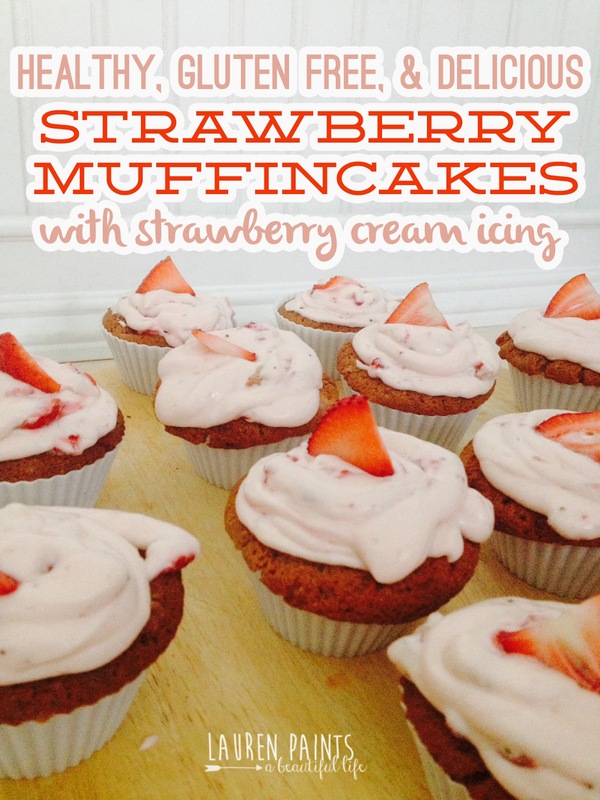 Bake the strawberry muffincakes about 40-50 minutes, until a tester or toothpick comes out clean. Top with Strawberry Cream Icing. With an electric mixer, beat the cream cheese and butter together on medium speed until smooth, approximately 2 minutes. Add the confectioners’ sugar, sugar, and 1 tbsp of almond milk. Beat for around another 2 minutes. Add the strawberries, vanilla, and 1 more tbsp almond milk if needed to make it the correct consistency. Beat for 1 minute. Taste the frosting and add a pinch of salt if too sweet, sometimes I add a pinch of agave for fun-zies. Frost the muffincakes once they are completely cooled! I refrigerated my muffincakes over night and they were the perfect morning treat, they aren't exactly sweet enough to be overwhelmingly sweet like a cupcake yet they aren't exactly a muffin either. I call them muffincakes because they are the perfect mixture of the two! Disclaimer: I received one or more of the products mentioned above for free using Tomoson.com. Regardless, I only recommend products or services I use personally and believe will be good for my readers. This contest will run through June 9th at 12:00 noon EST. Must be 18 years or older to win. This promotion is in no way sponsored, endorsed or administered by, or associated with, Facebook, Twitter or any other company mentioned above. You understand that you are providing your information to Lauren Paints | a beautiful life and not to Facebook, I will not use your information other than to e-mail you a winning notification if you are the chosen winner. Enter using the Giveaway Tools form above. Void Where Prohibited. Please note that Lauren Paints | a beautiful life and all other bloggers participating are not responsible for sponsors that do not fulfill their prizes.